Is it snowing in Sierra at Tahoe ?Thank you! 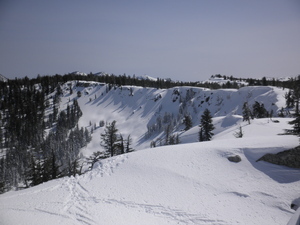 Terrain parks have become popular with skiers and snowboarders and Sierra at Tahoe offers four of these new fun zones. There's a 2,212 vertical drop and Sierra at Tahoe gets annual snowfalls averaging 450 inches. It also has million dollar views of Lake Tahoe, 250 lodges and motels nearby. Tahoe Valley campground is not far from the ski area of Sierra at Tahoe with transportation available daily between the state line. Sierra is one of the closest resort to the bay area, and it is a very nice resort, while it's not as huge as squaw for example it is still repectable. The main things here are very good snow, and the corwds aren't too bad.